Licensing information In addition to the GNU Public License (GPL), each of these packages includes its own licensing information. Please consult the individual tools for their licensing information. 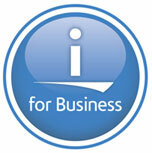 The freeware packages (“Code”) provided here are made available as a convenience to IBM customers. IBM does not own the Code, and did not develop or exhaustively test the Code. IBM does not provide support for the Code. IBM has compiled the Code so that it will run with AIX 5L. These packages are available for download via http://www.ibm.com/systems/p/os/aix/linux/download.html. Each Code package is subject to the terms of the license that is included in the Code package. IBM has extracted the license information associated with the Code packages for viewing convenience, but in all cases the actual licenses delivered with the Code package govern the usage of the Code package. By downloading a particular package you agree to accept and comply with the license terms that accompany such package. No Warranty: The Code is provided “AS IS.” TO THE EXTENT PERMITTED BY APPLICABLE LAW, IBM DISCLAIMS ALL WARRANTIES EITHER EXPRESS OR IMPLIED, INCLUDING WITHOUT LIMITATION ANY WARRANTY OF NON-INFRINGEMENT, NONINTERFERENCE, MERCHANTABILITY, OR FITNESS FOR A PARTICULAR PURPOSE REGARDING THE CODE OR TECHNICAL SUPPORT, IF ANY. This exclusion also applies to any of IBM’s subcontractors, suppliers, or program developers (collectively called “Suppliers”). Limitation of Liability: NEITHER IBM NOR ITS SUPPLIERS ARE LIABLE FOR ANY DIRECT OR INDIRECT DAMAGES, INCLUDING WITHOUT LIMITATION, LOST PROFITS, LOST SAVINGS, OR ANY INCIDENTAL, SPECIAL, OR OTHER ECONOMIC CONSEQUENTIAL DAMAGES, EVEN IF IBM IS INFORMED OF THEIR POSSIBILITY. SOME JURISDICTIONS DO NOT ALLOW THE EXCLUSION OR LIMITATION OF INCIDENTAL OR CONSEQUENTIAL DAMAGES, SO THE ABOVE EXCLUSION OR LIMITATION MAY NOT APPLY TO YOU.